Add an image or a texture in an Articulate slide background? Can we add a customized image or a colour (texture) to an Articulate slide background? Here I am adding a sample image. 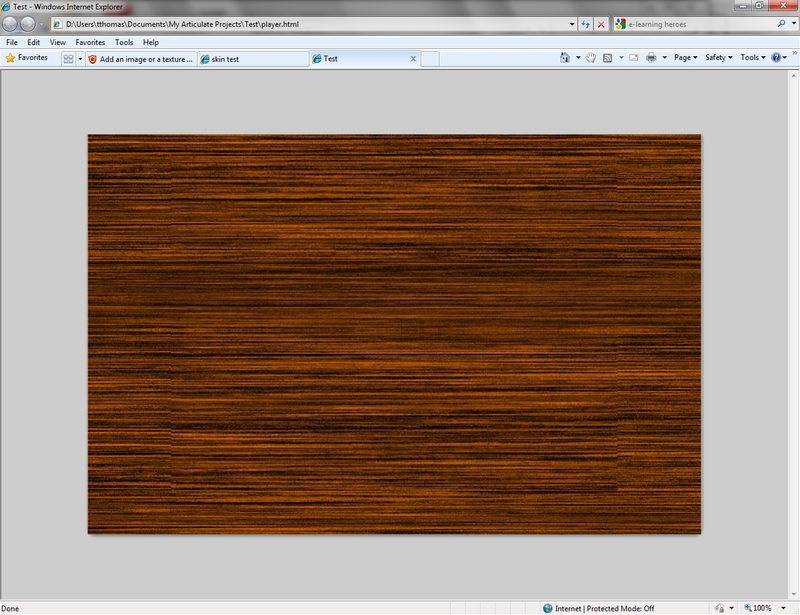 In this course, I want to add the same texture of the table to the slide background (the area in red colour). Is there any option to do that, apart from using the default colors? I want to make it appear that the book is kept open on a big table. I think my intention and requirement are clear. But if what I read somewhere was correct (I don't exactly remember where was it, perhaps, it could be in this community itself), there is a way to do that. According to it, publish the file and go to the published folder, open the file 'player' using notepad, and made some edit there. I don't know what was that edit. Can anyone tell me? Sorry for this late reply. Thank you very much for sending me that link. It is a nice idea. This is what I was looking for. Currently, I'm trying to understand the steps to make it work fine. Though I could change the background with the defaul picture that Sasha has given in his tutorial, I found that my PowerPoint slide background is not fully displayed while publishing. Let me do an R&D into it, to check if I am able to add my own customized image. Once again, thanking you very much.. I am able to add the image to background. 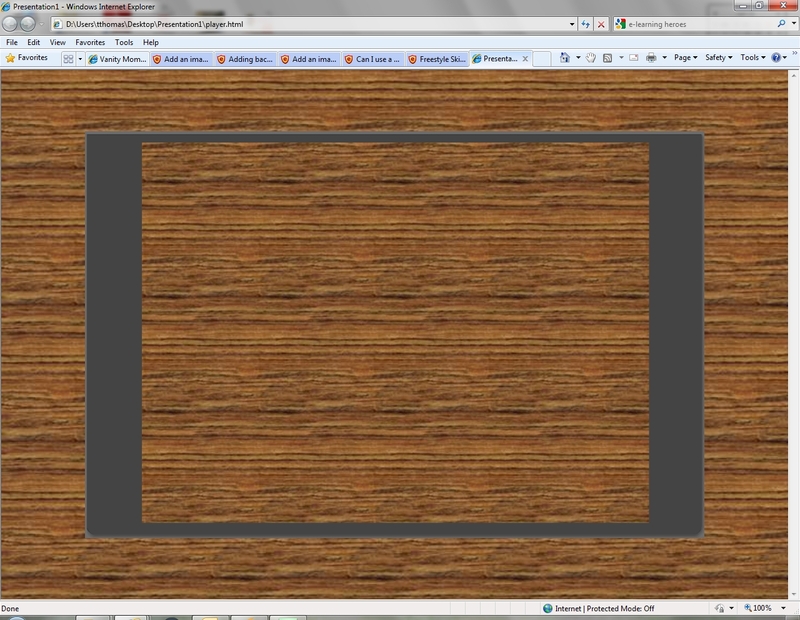 But still some space between the slide area and background area is left in a dark ash colour. Do you have any idea about filling that area also with the image (texture) that I'm using, to get an appearance of flat wide table space? I am attaching my screenshot to make it clear. is that using sasha's link or the second one I posted if its the second 1 I am a bit stumped, I could do you a custom skin that would do what you are trying to attempt, it would take me a few days though. I also tried Sasha's method. But, I don't know the way to avoid the customized forward and backward arrows, which has been given in the bottom portion. I want to know, which method you have used to create this interface, Sasha's method or the one shown by Jeanette? I guess you used Sasha's method. If you had used the other method, there would have been an image file in the same folder of player.html. But, in Sasha's method, there used to be an image file in the player folder (the one to fill the background area), which is missing in this folder. I am attaching here what I got after using the template that you sent. What I see is a huge blank ash coloured area surrounding the table space. That was brilliant. But my question is, wouldn't it look better, if you had used 1004 X 642 sized shape instead of 980 X 640? Because in Sasha's method, he had mentioned to create an image file of that size. I'm very delighted to know that you are going to build a custom player template. Truly happy that my small question inspired some one to do something interesting..
Do you know why Sasha was specific about the size 1004 X 642? I think it was because Sasha's size could cover the entire browser page.. Thank you very much for the information. 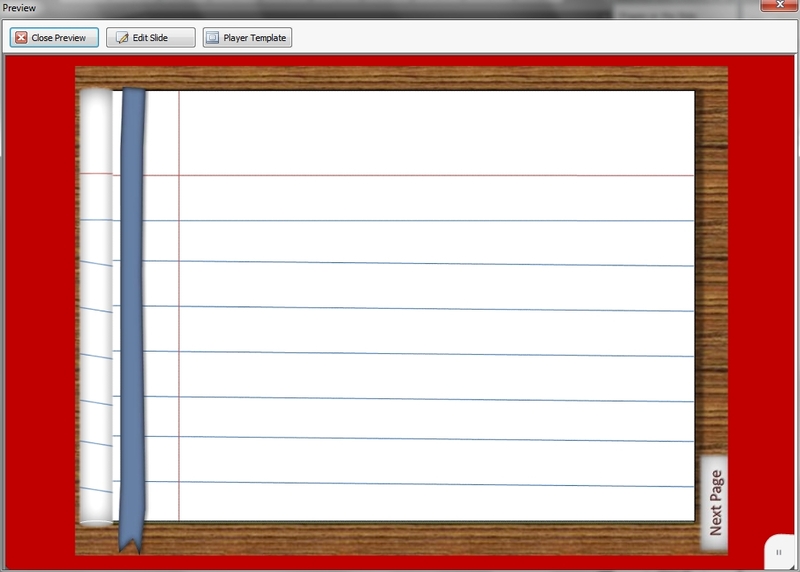 Anyway, looking forward to see and try the template player that you are building. "sorry Tom this was what I intended to post but it never happened, f..."
"Hi Tom you could use a custom skin like this http://community.artic..."